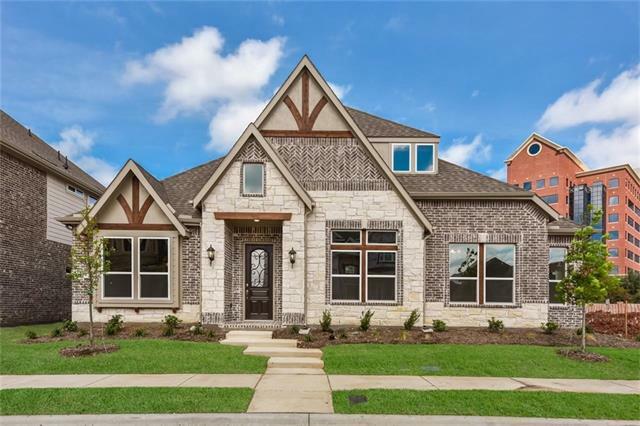 All Farmers Branch homes currently listed for sale in Farmers Branch as of 04/25/2019 are shown below. You can change the search criteria at any time by pressing the 'Change Search' button below. 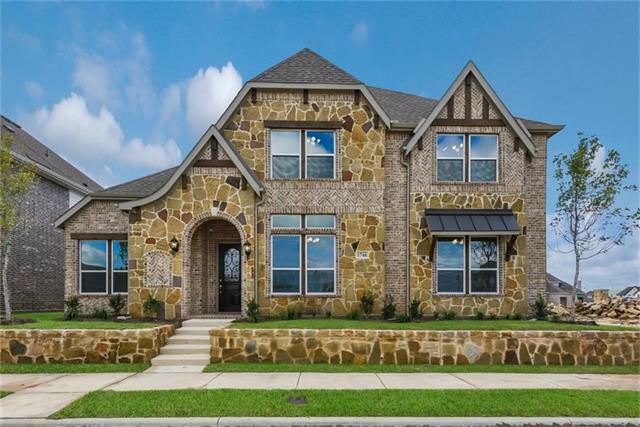 If you have any questions or you would like more information about any Farmers Branch homes for sale or other Farmers Branch real estate, please contact us and one of our knowledgeable Farmers Branch REALTORS® would be pleased to assist you. "Live Urban Feel Rural! Hard to find 2+ acres near 635-DNT. 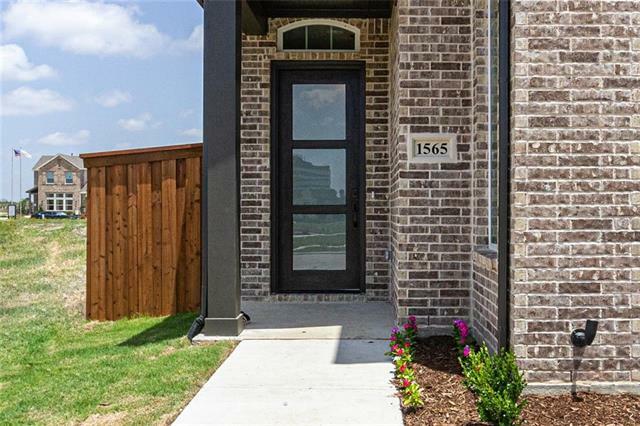 Just minutes from Galleria, Love Field, Brookhaven CC, Dallas! 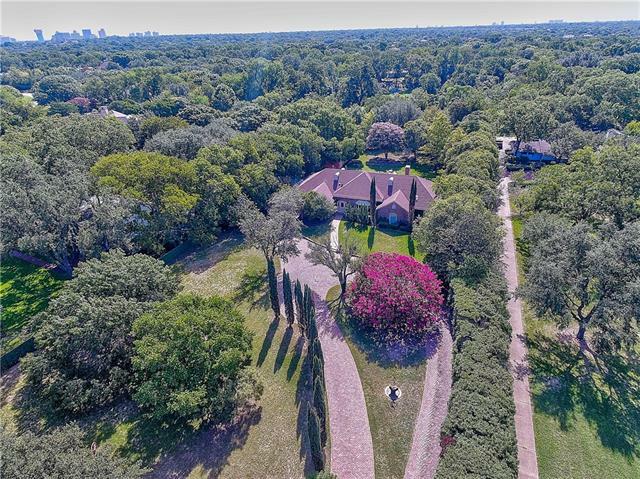 Very private tree lined lot with flood controlled creek. Elegant Italian Spruce lined drive welcomes you to a delightful one-story open floor plan with 2 living areas. Large SS kitchen, granite countertops, oversized laundry, outdoor living space. XL shed and covered carport for RV - boats. See to appreciate!" "MLS# 13922364 - Built by Taylor Morrison - Ready Now! ~ The Dakota s unique features and open-concept design combine to create a stunning place to call home. An elegant curved staircase frames the front foyer and forms a private space for the formal dining room. The unique, octagonal family room is open on all sides to the front foyer, kitchen and breakfast nook and boasts soaring ceilings that extend to the second story. The master suite is tucked at the back of the house for maximum privacy." "MLS# 13930457 - Built by Taylor Morrison - Ready Now! ~ Striking curb appeal & interior design details make The Vanderbilt a true stunner both inside & out. The formal dining room, kitchen, family room & breakfast nook form a large common living area perfect for entertaining. Design details such as a decorative ceiling in the breakfast nook & a cozy fireplace in the family room set this home apart. The master suite boasts tray ceilings, separate his & hers vanities & a large walk-in closet. On t"
"MLS# 13930414 - Built by Taylor Morrison - Ready Now! ~ Beautiful design features throughout, including coffered ceilings in the formal dining room, a cozy corner fireplace in the family room and an elegant curved staircase, make The Asheville a true stunner. The kitchen opens up to the family room and a sunny breakfast nook with access to the covered back patio. The master suite features tray ceilings, a private bath with free standing tub and separate shower, and an enormous walk-in closet. Th"
"Amazing Custom Mediterranean Villa with guest quarters plus pool and spa in a private courtyard plus fire pit in secluded corner of backyard. Tons of windows flood this home with natural light all while overlooking courtyard and pool. 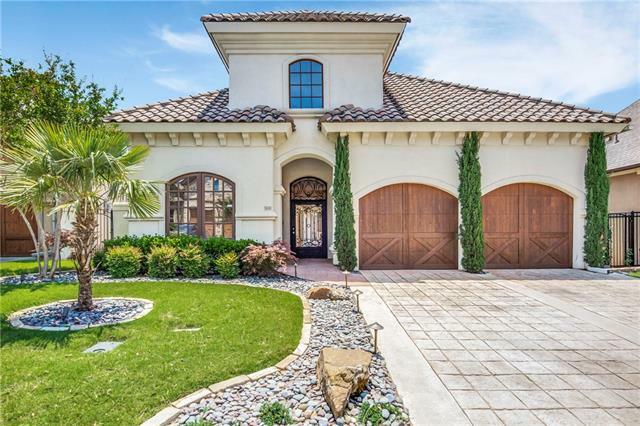 This unique home offers resort style low maintenance living in a gated community. Chefs kitchen with granite counters, built in fridge, gas cooktop, opens to family room with travertine floors and custom fireplace with built in cabinetry for storage. 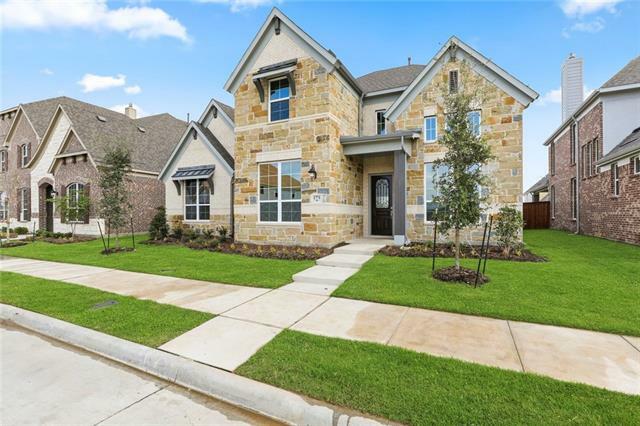 Split floor pl"
"MLS# 14018694 - Built by First Texas Homes - Ready Now! ~ Gorgeous floor plan that features a gourmet kitchen that is very open to the family room.. The kitchen has a large island and walk in pantry. The family room has 2 story ceilings and a gorgeous winding staircase with wrought iron spindles. This is the same floor plan as the model home in Mercer Crossing!" "MLS# 14006895 - Built by First Texas Homes - Ready Now! ~ Beautiful custom home that features a gourmet kitchen that is very open to the family room.. This chefs delight kitchen has quartz counters and a large island with area for seating. The large family room has 2 story ceilings and lots of windows for natural light. The stone to ceiling fireplace is gorgeous as our the wrought iron spindles on the winding staircase. This is a home you want to see for yourself!" "EYE CANDY with Updates GALORE!! Enjoy entertaining family and friends in your Fabulous OPEN CONCEPT kitchen with Luxurious QUARTZ counters, SS BOSCH appliances, Pot Filler, Custom Cabinets and 2 Dining areas. Or gather around and have a feast under your covered patio overlooking mature trees in your Half Acre Lot. Outdoor area includes Quartz Counters, built-in Gas Stove and Ref! 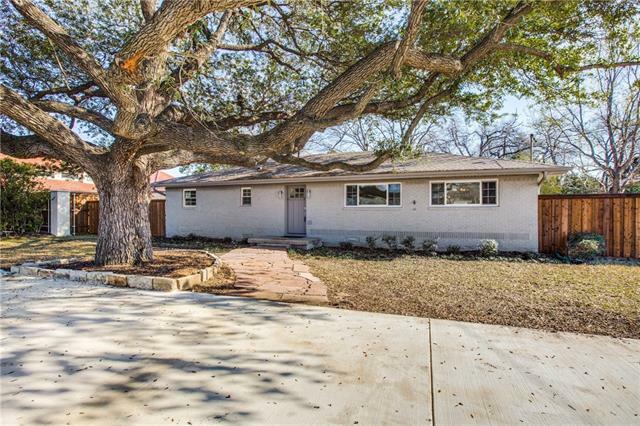 Recent renovations include new windows, new appliances, new flooring throughout, newly designed baths, and so much mo"
"MLS# 14031629 - Built by First Texas Homes - May completion! ~ Gorgeous custom home with a gourmet kitchen that has an island, breakfast bar and butler's pantry.. The family room has 2 story ceilings with large windows. This home also features a large covered patio to enjoy the spacious backyard. Beautiful wood flooring throughout the first floor." "MLS# 13871371 - Built by First Texas Homes - Ready Now! ~ REDUCED PRICE!! Originally $534,052 Gorgeous custom home with an open floor plan. The gourmet kitchen is open to the family room and has a large island with area for seating and a walk-in pantry. The family room has gorgeous wood flooring with custom glass sliding 8ft doors that open to a covered patio. This home also features beautiful coffered ceilings in the family room and master bedroom." "MLS# 14062116 - Built by Ashton Woods Homes - July completion! 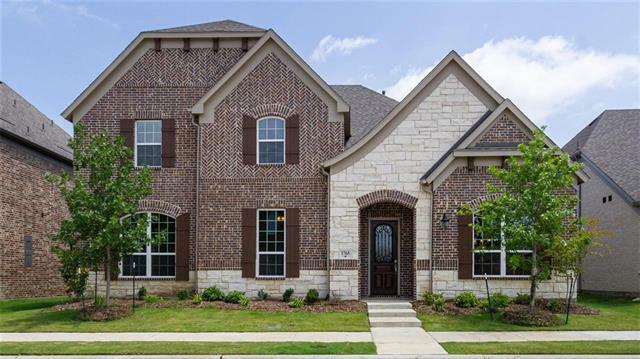 ~ Gorgeous 2-story home with brick & stone only 17 miles from Legacy West near Las Colinas, I635 and PGBT 161. Covered front porch and elegant tall windows. Spacious front foyer with a open kitchen-family-breakfast area. Coronado Stone fireplace in living room. Kitchen features a spacious island & Quartz countertops. Master on main floor with a tray ceiling & large, bright windows. Master bath with Quartz countertop vanities, freesta"
"Custom Built 2013 by luxury home builder Todd Bonneau. 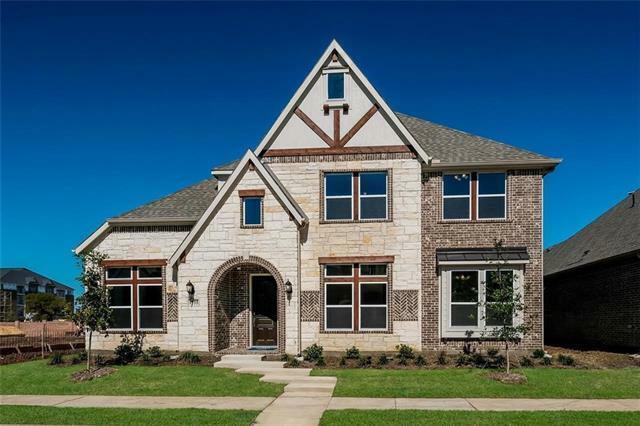 Transitional Tudor in sought after Farmers Branch. Arched doorways, high ceilings, hardwood floors and neutral palette throughout. Gourmet kitchen with gas cook top, double ovens, farm sink, granite counters, oak butcher block topped Island. Chic wet bar in the family room. Great for entertaining friends and family. Plenty of storage, walk in closets and large butlers pantry. BONUS ROOM! @ 1400 s-f with bath, heated and cooled, can be conver"
"MLS# 13865502 - Built by First Texas Homes - Ready Now! ~ Gorgeous custom home with an open kitchen to the family room. The gourmet kitchen has a large island and beautiful granite countertops. The family room features beautiful wood flooring and a coffered ceiling. This home also has a large covered patio and a mud room plus home automation!" 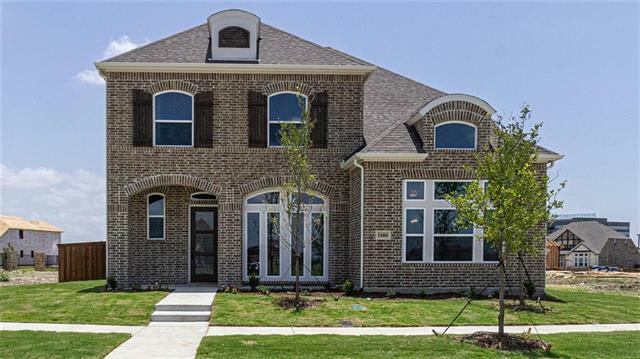 "MLS# 13995627 - Built by Ashton Woods Homes - Ready Now! 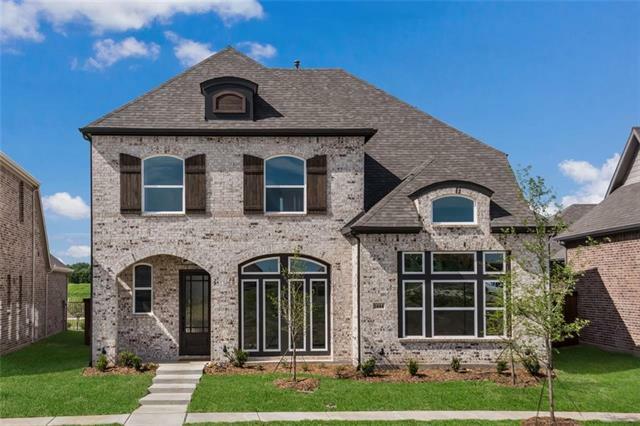 ~ Luxury new home 17 miles to Legacy West minutes to I635, PGBT 161, Hwy 114 and DFW Airport. Brick exterior dormers.Mahogany front door leads to foyer & formal dining room. Open kitchen-family-breakfast room with hardwood flooring.Kitchen features Silestone countertops, island, pot and pan drawers, pull out waste basket.Breakfast area has outdoor covered patio access.The master is in the front of the home next to the formal dining room. M"
"MLS# 13996114 - Built by Ashton Woods Homes - Ready Now! 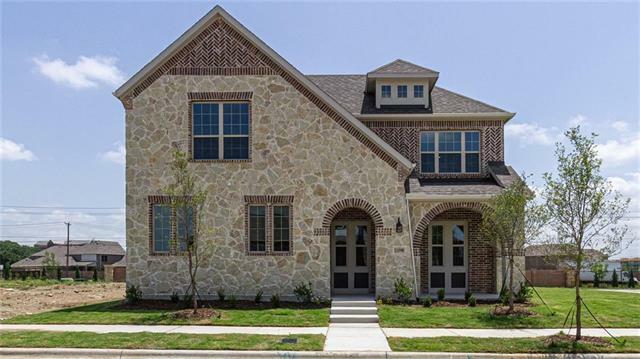 ~ Luxury new home near Las Colinas 17 miles to Legacy West minutes to I635, PGBT 161, Hwy 114 and DFW Airport. This 4 bed, 4 bath home features a study, hardwood flooring on the main floor, open kitchen-living-dining room and a tandem 3-car garage. kitchen includes pot and pan drawers, Silestone countertops, pull out waste basket, brushed nickel hardware. master. Spa-inspired master bath includes split vanities, frameless master shower enc"
"MLS# 14062093 - Built by Ashton Woods Homes - July completion! 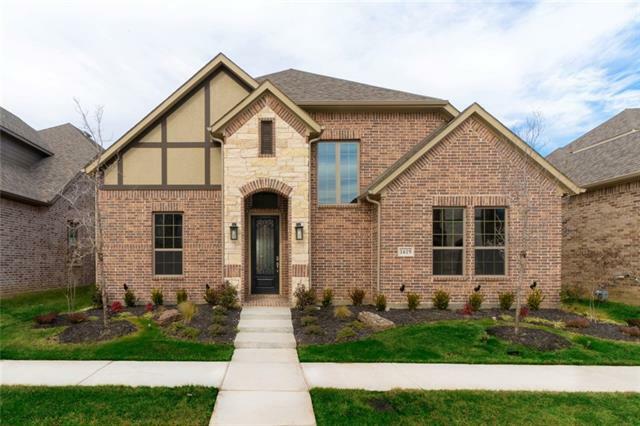 ~ Brick & Stone exterior home 15 miles from Downtown Dallas, 18 miles from Legacy West & minutes from major highways, shopping, dinning and DFW Airport. Open floorplan with hardwoods throughout main floor. Custom gourmet kitchen includes upgraded stainless steel appliances, pot & pan drawers, brushed nickel hardware and quartz countertops. Custom stone fireplace with mantle. 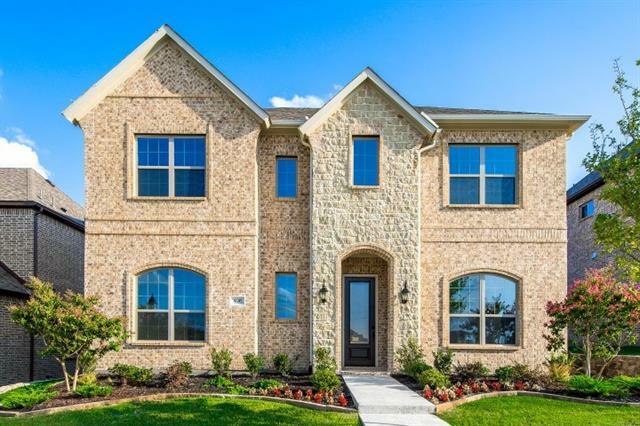 Master suite with oversized shower with a freestanding tub "
"MLS# 13865773 - Built by First Texas Homes - Ready Now! ~ Gorgeous custom home with a gourmet kitchen that is very open to the family room. The kitchen has beautiful granite countertops with a large island and a walk in pantry. The family room features beautiful wood flooring and and a coffered ceiling. The home also has a large master bedroom with a sitting area and a large walk in shower. 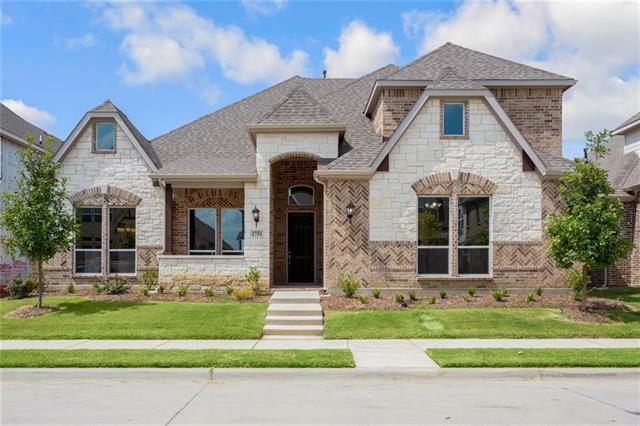 This home also has a large covered patio and a upgraded exterior elevation with stone and cedar accent"
"MLS# 14062020 - Built by Ashton Woods Homes - July completion! 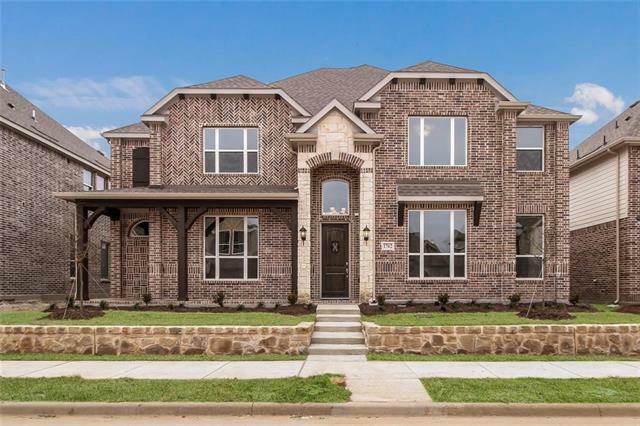 ~ New brick exterior home 15 miles from Downtown Dallas and 18 miles from Legacy West in Farmers Branch! 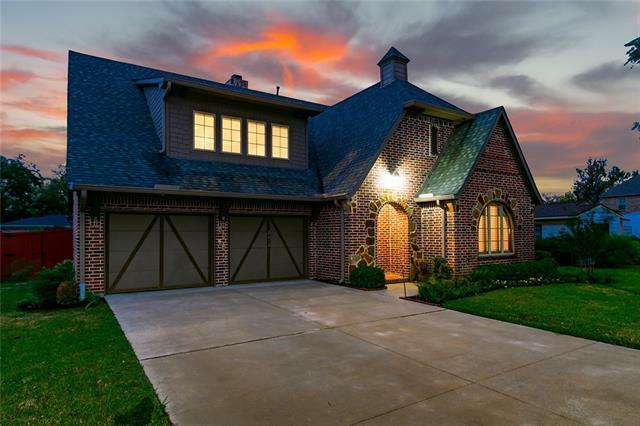 This home is minutes from several major highways, restaurants and shops as well as DFW Airport. Open floorplan with hardwoods throughout main floor. Custom gourmet kitchen includes upgraded stainless steel appliances and quartz countertops. Custom stone fireplace with mantle. Master suite with oversized shower with a freestanding "
"Mehatel Homes' Gaylord plan in the New master planned community of Mercer Crossing. Live, Work, and Play in this amazing neighborhood. Deluxe Amenity Center with Amazing Pool and work out facility coming in 2019. 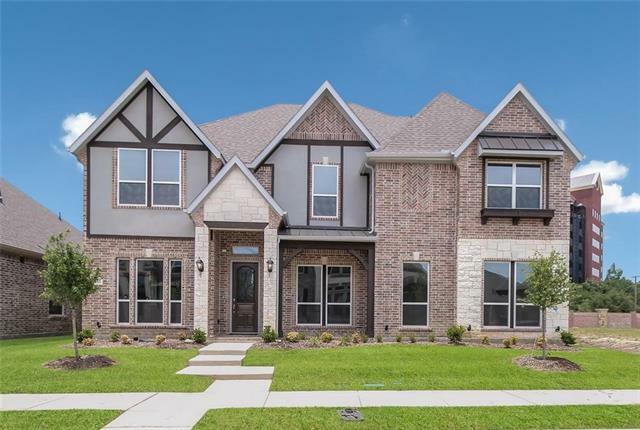 This new home features Large bedrooms, large upstairs game room, energy Star Whirlpool Appliances and Quartz countertops, Standard features include Rennai Tankless Water system, Trane AC and Claire Smart Home. This is a PID"
"Megatel Homes' Elliot II plan in the new master planned community of Mercer Crossing . Live , Work , and Play in this amazing community . The home features the Master down and another secondary bedroom on the first floor. Open kitchen , breakfast area , and family room accompanied by a formal dining room complete the first floor . Large game room and 2 bedrooms complete this home. 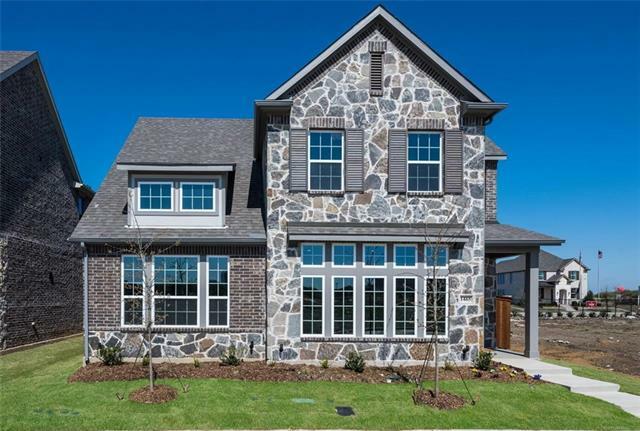 Energy Star Certified , energy star Whirlpool appliances , Rennai Tankless water system , Trane AC , radiant barrier"
"Megatel Homes' Birmingham plan in the NEW master planned community of Mercer Crossing. Live, Work, Play in this amazing new neighborhood. Deluxe Amenity Center with amazing pool and work out facility coming in 2019. This new home features large bedrooms, large upstairs game room, energy star appliances, and granite counter tops. Standard features include Rennai tankless water heater, Trane HVAC system, and Claire Smart Home. This is in a PID." "Lovely European style home in the heart of desirable Branch Crossing. Walking distance to parks and playgrounds. Move in ready. Large foyer leads to dining room and open family room. Handscraped wood floors. Kitchen overlooks family room and is complete with 2 ovens, built-in Sub Zero refrigerator-freezer, large central island, granite and adjacent butler s pantry with glass front display cabinets. First floor flex room could be fourth bedroom or make a great study. Upstairs gameroom co"
"MLS# 13995596 - Built by Ashton Woods Homes - Ready Now! 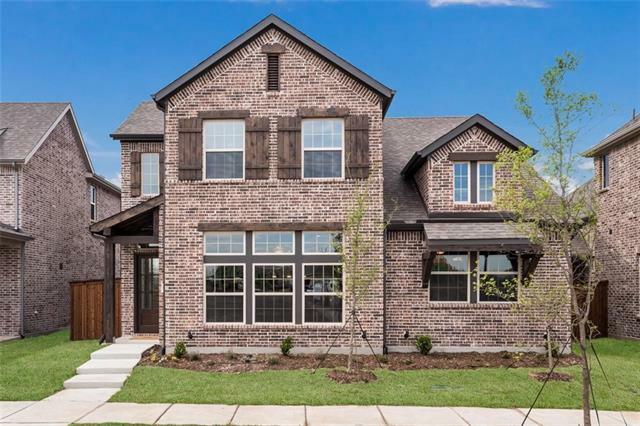 ~ Luxury new home near Las Colinas 17 miles to Legacy West minutes to I-635 PGBT-161 and the DFW airport. Exterior of this home with window shutters, dormers. 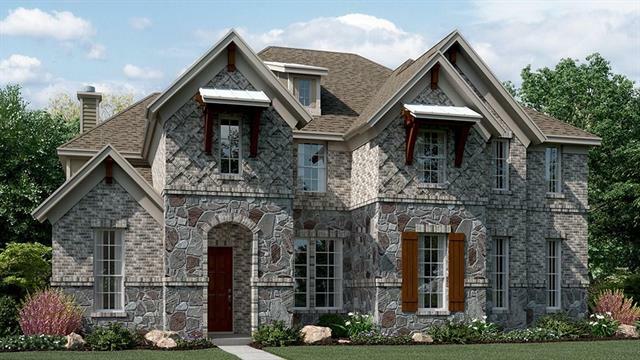 Foyer opens to the family room,natural stone fireplace, hardwood flooring. Open kitchen and dining area. The kitchen features double-stacked cabinets, Silestone countertops. 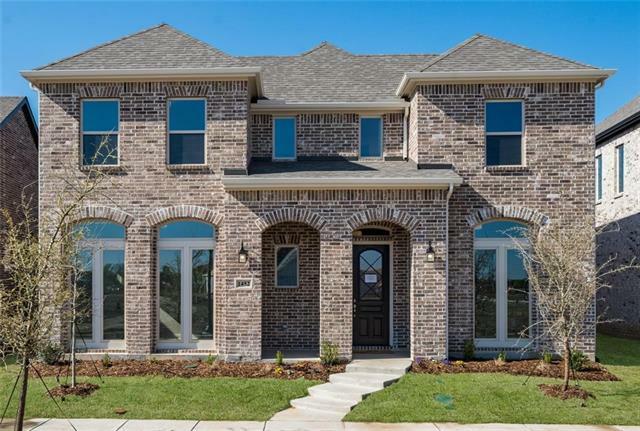 Master bedroom and one secondary bedroom are split on the main level, study .Master suite with a walk-in close"
"MLS# 13941011 - Built by Ashton Woods Homes - Ready Now! 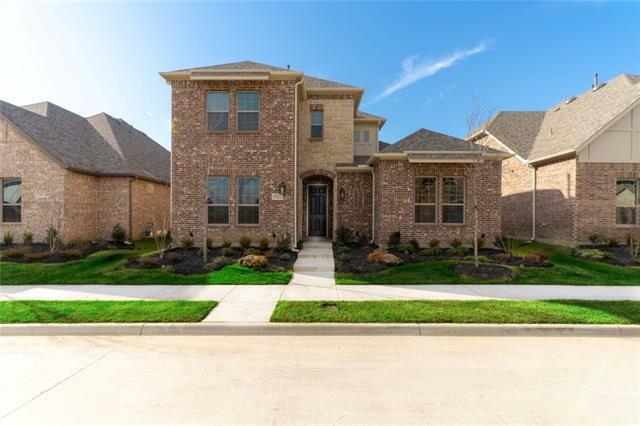 ~ Brand new master planned community in Farmers Branch, just minutes from major arteries and shopping. Open floorplan with hardwoods throughout main floor. Custom gourmet kitchen includes upgraded stainless steel appliances and quartz countertops. Custom stone fireplace with mantle. Master suite with oversized shower with a freestanding tub and quartz countertops. Guest room with full bath on first level. 2 Bedrooms, Bathroom and Media Roo"